So... like many these days, I am starting to have a little obsession with Pinterest. When I saw the coffee filter wreaths, I knew I had to make one for a girl who boasts about having no filter (check out her blog here). Of course, I needed to wait for her birthday- so I sat on this project for a few months. I must say I think it turned out quite nice. Fold a filter in half, then in half again. Put a small amount of glue on the pointed end of the folded coffee filter. Repeat until entire wreath is covered. 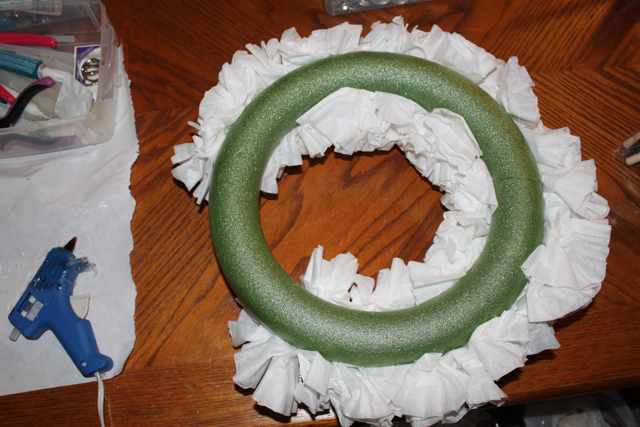 Cover the back of the wreath with felt if desired. 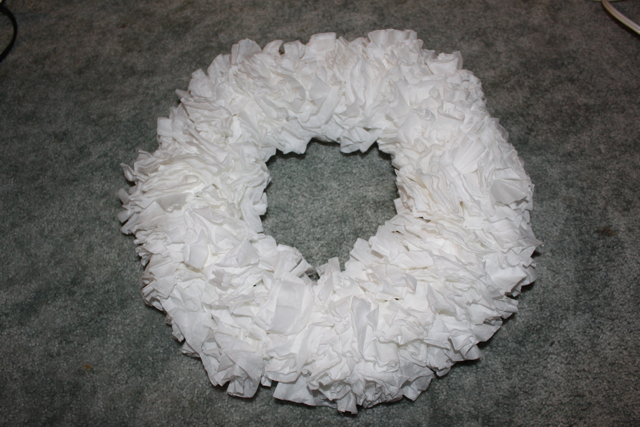 The amount of filters you will need will depend on the size of your styrofoam wreath. I used just under 100 filters for this 12" wreath. I tried to glue the filters as close together as possible, fluffing them up as I went. This made it easy to spot and fill holes. Other tutorials mention that you may need to trim the filters that stick out a little too much, but I didn't do this. 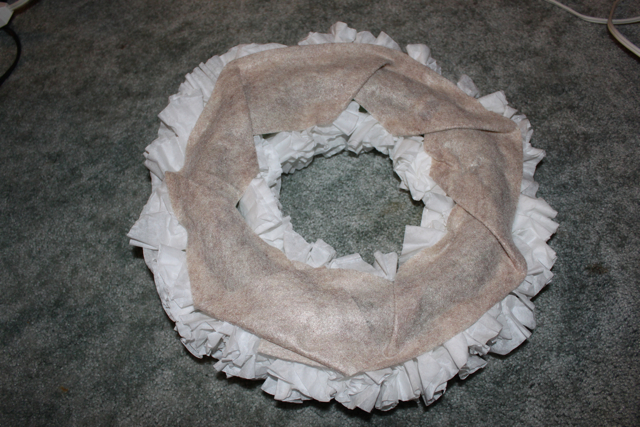 Although I kept mine white, you can also dye or color the coffee filters before attaching them to the wreath. 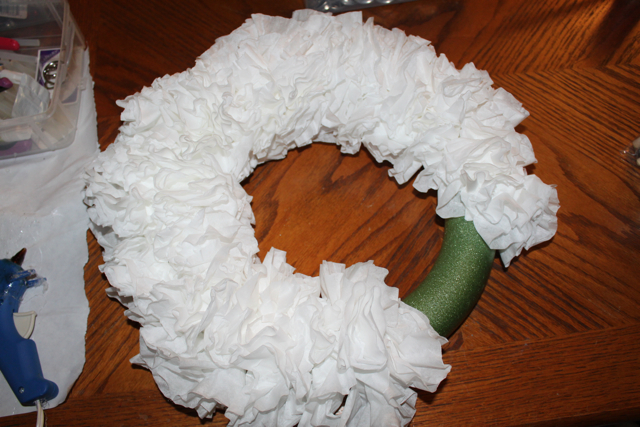 The plain wreath is great for embellishing for different seasons. I ended up attaching a birthday banner to it, but it can easily be decorated for christmas, fall, summer etc.